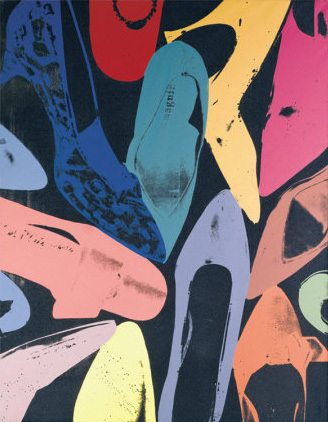 Love the shoes art of Pop icon Andy Warhol. These works were produced in his earlier years as a New York City commercial artist in the 1950s. The illustrations were advertisements for retail stores and magazines in New York. My favourite piece is this print "Diamond Dust Shoes." Warhol wanted to make the print sparkle from industrial diamonds in the silk screen paint. When this idea did not work he is said to have used glass and mirror chips to achieve the desired effect. Absolutely love it!